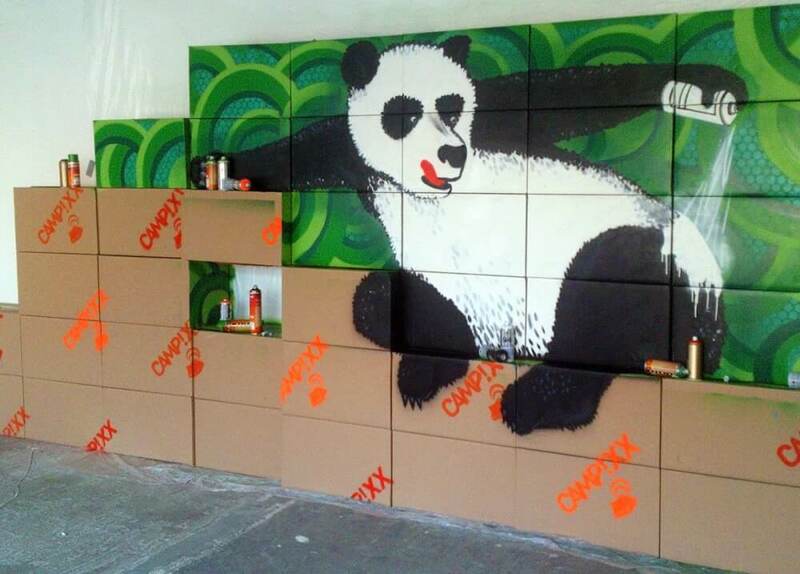 For the CAMPIXX Congress, I got the contract to represent a Google Panda Algoritmus Update using graffiti painting. 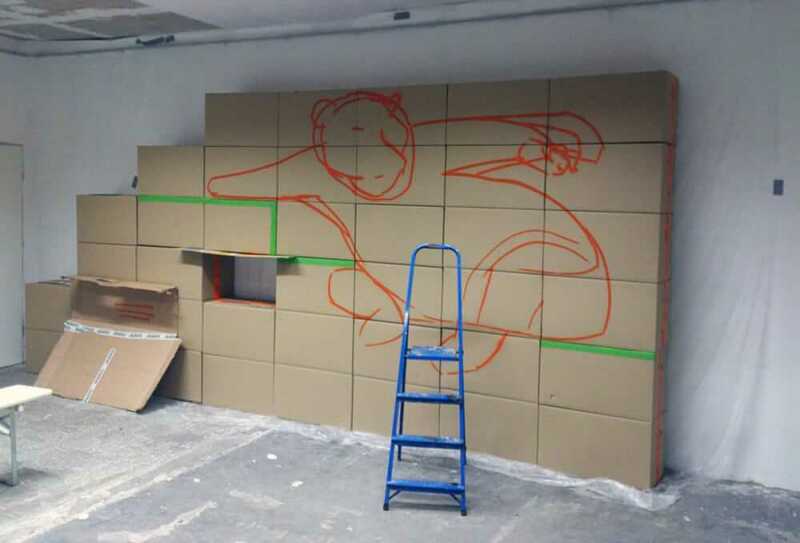 The first challenge: How do you make a graffiti for an interior, without having to spray in the room?! 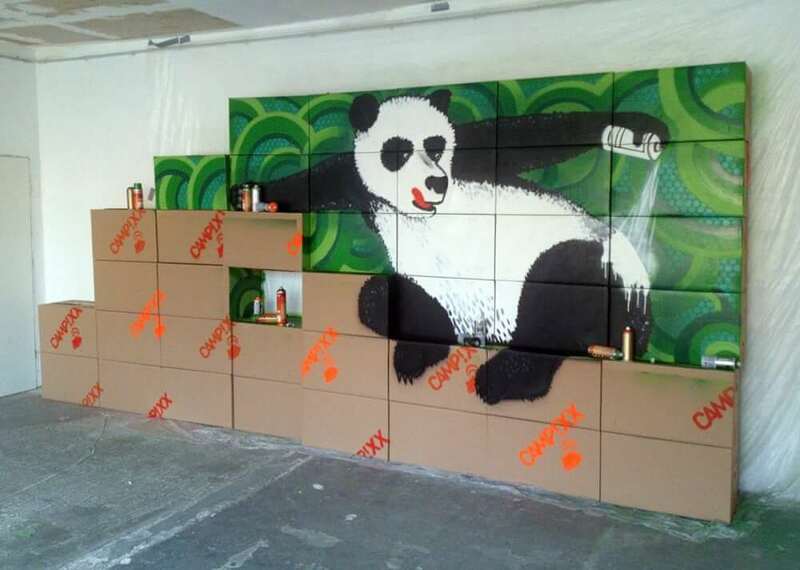 Answer: Build a partition wall out of several cardboard boxes to spray it outdoor. First, I set up the wall in my studio in Urban Spree. 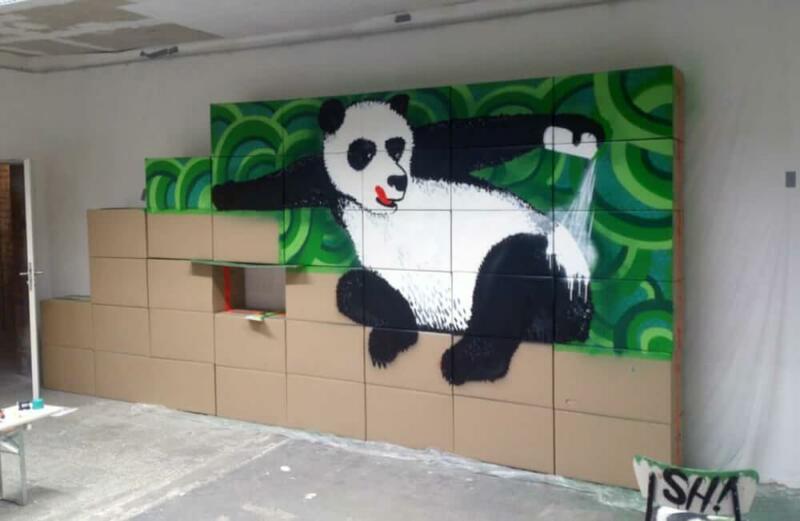 Then I made the graffiti artwork. Then the partition was dismantled and transported to the event location. 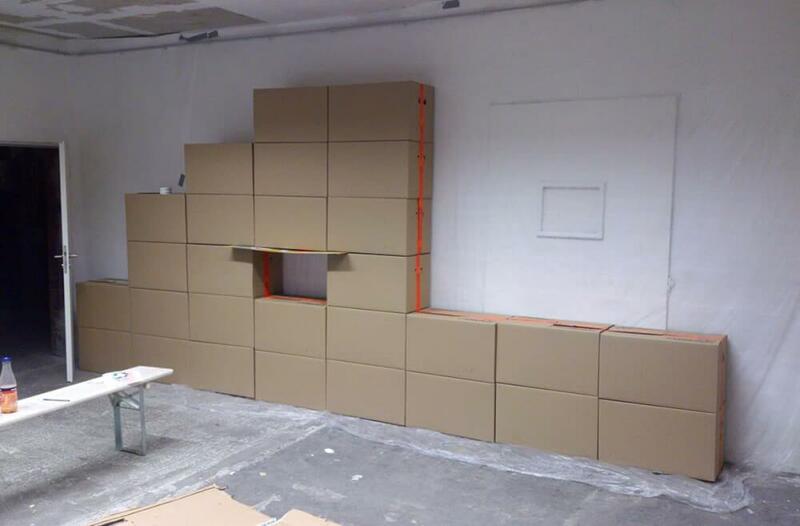 There I rebuilt the wall on the event day and the job was done. Special thanks to “Sumago GmbH” for this order!